We’ve said it before, and I’m sure we’ll say it again, but we are super into Tim Burton. Apparently the MoMA is too; they are housing a Tim Burton exhibition from November 22, 2009â€“April 26, 2010. I don’t really think there is anything to say other than that you should go see it. I know we would, if we were going to be in New York. 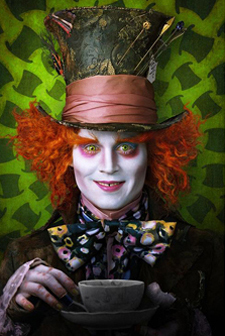 Tim Burton’s Alice in Wonderland is coming to theaters on March 5, 2010. From the few stills I’ve seen, the costume, casting and sets all look awesome. 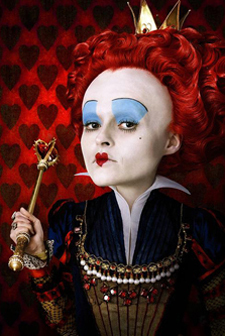 Plus, I am rarely disappointed by either Tim Burton or Johnny Depp (except, of course, Sleepy Hollow). You can read more about the movie here. The trailer for Sivan Gur-Arieh’s film short film Baby Let’s Play House is now available on YouTube and on her site. Owen and I worked with Sivan on the titles, credits and DVD art for the film. The trailer is good, but I think the film is fantastic. Baby Let’s Play House, Sivan’s MFA thesis film, won Best Film at the Sundeis Film Festival, and has continued its festival circulation in Manhattan’s East Village Anthology Film Archives at the New Filmmakers Screening Series, and in Big Sur at the Henry Miller Short Film Screening Series. If you get a chance to see a screening, don’t miss it!